We are Pensacola’s most gentle and complete wildlife service! A All Animal Control of Pensacola, Florida is a nuisance Wildlife Removal company. We proudly serve the Pensacola metro area as well as all of Escambia County. We specialize in the control and removal of bats, snakes, squirrels, raccoons, mice, rats, beavers, opossums and skunks. We provide animal removal. 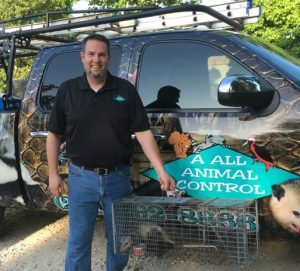 A All Animal Control of Pensacola has expert animal removal professionals who are capable of removing nuisance wildlife animals from your home or property including: Bats, armadillos, squirrels, beavers, birds, raccoons, rats, rattlesnakes, rodents, moles, bobcats, coyotes, deer, foxes, gophers, mice, opossums, pigeons, pocket gophers, starlings, snakes. We are a full service wildlife management company. For assistance with animal removal and control, we’re just a phone call away at 850-929-8473. Our solutions are effective. We over animal removal and wildlife control services throughout the Pensacola Metro area. We can clean up and sanitize any affected areas. Pensacola wildlife professionals can provide home and animal damage repair. We fix the damage done to your home or business and install preventative measures, such as dryer vent covers and chimney caps. Call A All Animal Control of Pensacola, FL for expert wildlife removal. 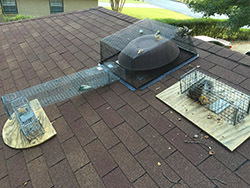 We are skilled at removal, control, and trapping of nuisance wildlife in Ferry Pass, Ensley, Brent, Myrtle Grove, Warrington, Belleview, and cities throughout the Pensacola metro area.